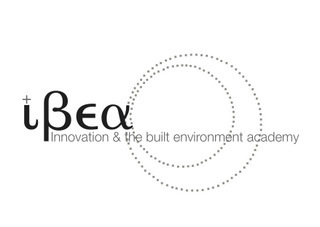 The Innovation and the Built Environment Academy (IBEA©) is a non-profit organisation that organises seminars, meetings, workshops and conferences and publishes selected proceedings and intellectual contributions made by its members. The IBEA philosophy is to brings together practitioners, academics, scientists, legal and financial professionals, policy makers and many more to discuss and develop the state of the arts technologies, policies and innovative solutions in the built environment. Our first IBEA Conference: Innovation and integration: science, technology and policy in the built environment was organised in response to the need to deal with complexities of innovation in the Built Environment. The conference acknowledged that solutions to our current problems can be found only through collaborative and interdisciplinary approaches and by closer partnerships between HASS and STEM researchers. Speakers agreed that innovation is not limited to technological solutions alone and policy makers need to consider institutional as well as behavioural aspects of innovation. Since 2011, IBEA has created a forum for effective discussion and knowledge transfer between academics and practitioners. For a full list of IBEA event see http://ibea.eu. This entry was posted in Uncategorized on July 2, 2012 by Mahtab Farshchi.